How many times have you said this to yourself? 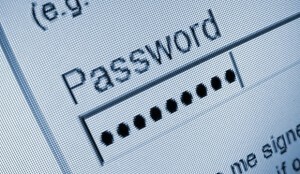 You use passwords all the time when you are using your computer, surfing the Internet and on your company network. Just take a second to think about all of the passwords you have: online banking, credit card logins, email accounts, online bill paying, online shopping accounts and tons of others. Do you use the same password for each of theses accounts? I hope not. It isn’t a good idea in this day and age when identity theft is on the rise. Using the same password and even login name can be dangerous when it comes to protecting your privacy. Now not only do you have to keep up with your password, but a lot of sites are having you verify an image and/or use multiple security questions which you also have to remember. How are we expected to remember all these passwords? What do you do to keep track of or remember your passwords? There are multiple methods you can use so you really have to do what works for you. I had this problem and a friend of mine told me about a software program called KeePass Password Safe which I now use on a regular basis to store all of my user accounts and password information. It has it’s own password protection but that is the only password I really have to remember. It will create random passwords using any combination of characters, numbers, special characters and character length required. With smartphones and tablets taking over you can store the password file in a cloud storage area such as Skydrive, Dropbox or Box.net. Then with mobile software packages you can open the same file and have access to your passwords no matter what device you are using. 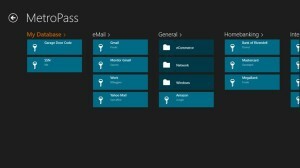 Since I have Microsoft devices I use Metropass on my smartphone and Surface. It works great on both devices and I don’t have to worry that I can’t access something I need when I am traveling. Passwords should be a 8 or more characters in length. 12 – 14 characters is the ideal length. Use a mixture of upper and lower case letters, symbols (!, %,$,#) and numbers. Do not use repeating characters or numbers in the password. Do not use birthdays, full names of kids, relatives or pets. Change your password on a regular basis. Every 60-90 days would be a good starting point. Never tell anyone your password. This include friends and family members. Do not log into accounts on computers you don’t control. This includes internet cafes, libraries, computer labs, shared systems, kiosk systems, conferences, and airport lounges should be considered unsafe for any personal use other than anonymous Internet browsing. Protect any recorded passwords. If you have your passwords printed, make sure that it is placed in a safe location in your home. You don’t want guest or others finding your login information.